The game between the Baltimore Orioles and Boston Red Sox scheduled for Tuesday night has been postponed because of rain. 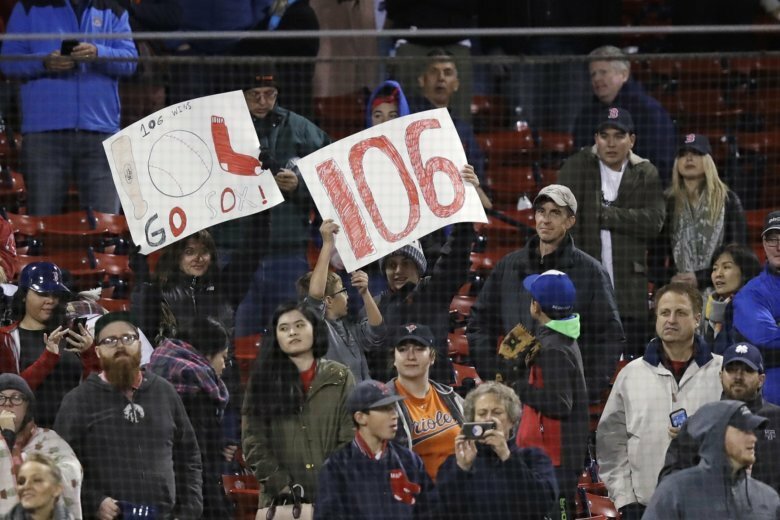 BOSTON (AP) — The game between the Baltimore Orioles and Boston Red Sox scheduled for Tuesday night has been postponed because of rain. The teams were rescheduled for a day-night doubleheader on Wednesday. David Price (15-7, 3.53 ERA) is set to start the first game for the Red Sox and Chris Sale (12-4, 2.00) the second game. Boston (106-51) has clinched the AL East and home-field advantage throughout the postseason. Baltimore (45-111) has tied the franchise record for losses set by the 1939 St. Louis Browns.